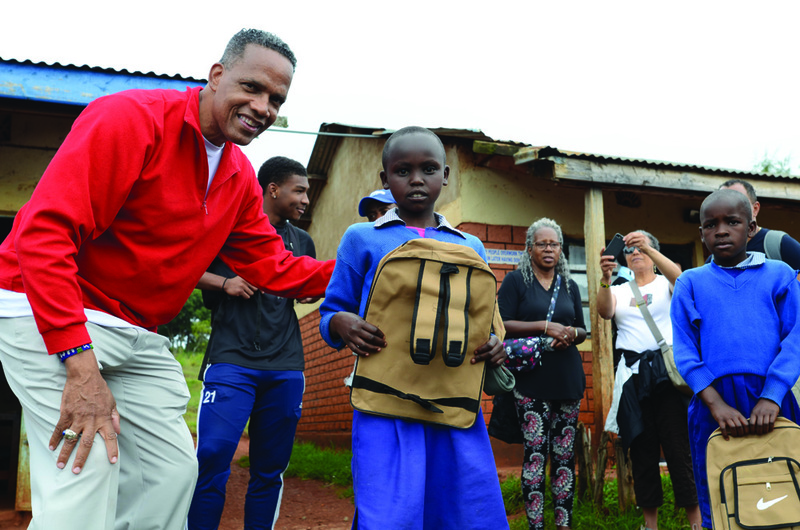 From D.C. to Africa, grad discovers the beauty behind the core value of ‘service before self’. A few years ago, Col. (Ret.) Eric Garvin ’81 sat down to write his own obituary. There was no near-death experience that prompted him to chronicle his life — it was simply an exercise to motivate his future actions. His inclination toward service was by no means a certainty when Garvin was growing up. But a fortunate stint at the United States Air Force Academy helped solidify his life’s mission and set him on the path of career success and extensive charity work. Garvin’s life could have turned out dramatically different. Born and raised in Brooklyn, New York, Garvin lived in a tough and poor neighborhood. “As I was growing up, I had a series of family tragedies that really helped shape my life,” he recalls. Sometime later, Garvin and his brothers were summoned to the principal’s office at school. “We kind of had a sense that something was not good,” Garvin recalls. Tragically, their mother had been shot six times after opening the front door to a stranger pretending to sell children’s books. While his mother struggled to recover, Garvin reports that the family’s future prospects took an immediate turn for the worse. Garvin’s mother turned to alcohol to help cope with life’s mounting difficulties. As a result, the family’s financial situation grew increasingly grim. The Garvin brothers eventually split up, living with relatives in various nearby communities. Garvin would move to Staten Island with his aunt and uncle — the same aunt who’d been shot in the face years earlier. Fortunately, Garvin had a number of people rooting for him — relatives, teachers, coaches and more. Garvin would attend a new school on Staten Island and didn’t know a soul at first. He would eventually be elected class president three straight years, serve as president of the school’s honor society, excel on the track team and be chosen most popular member of the senior class. Unfortunately, things wouldn’t work out so well for several of Garvin’s brothers. One brother was murdered during a drug deal gone bad. Another died of a heart attack after using crack cocaine. Garvin’s academic and extracurricular success led to recruiting interest from several prestigious colleges, including the Air Force Academy. He would choose the Academy because of his interest in flying, but becoming a pilot wasn’t possible in the end. “I could never get over air sickness, despite me trying a variety of things,” Garvin recalls. Despite that major disappointment, Garvin called his time at USAFA “ultra special.” He spent three years in 4th Squadron, which took the Honor Squadron award three years in a row. Garvin says he discovered that teamwork was the “secret sauce” for success in every endeavor during and since his Academy days. He credits upperclassmen like Rich Hall ’79 and Will Gunn ’80 and a number of classmates and squadronmates —Marvin Fisher, Darren McKnight, zch Duchene, Dean Latas, the rest of his 4th Squadron classmates and others — for supporting and encouraging him through the inevitable ups and downs of cadet life. After graduation, Garvin married “the girl of my dreams,” Anna, and the couple headed off on their first adventure together. He entered the career field of Air Force acquisitions and was assigned to Eglin Air Force Base in Florida to work with munitions. He would later spend time at Andrews Air Force Base and Wright-Patterson Air Force Base. Garvin eventually went to work on two of the Air Force’s top development programs — the F-22 and CV-22. He became the executive officer for the F-22 program office and then transitioned to his role as the Air Force’s onsite representative for the F-22 at the Lockheed Martin plant in Marietta, Georgia. During his assignment in the Pentagon, he served as the F-22 director in the Program Element Office for Fighters and Bombers. He frequently advocated for the new platform in the halls of Congress. Garvin would later transition to the CV-22 program. Garvin would attend the National War College and earn distinguished graduate honors. 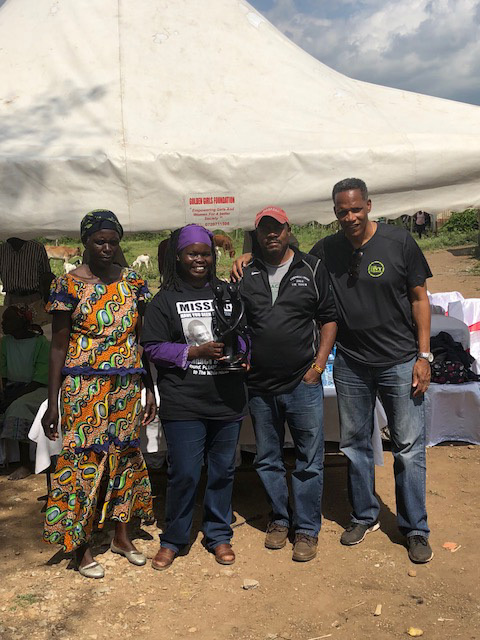 While attending school in Washington, D.C., Garvin would become involved in the first of many nonprofit organizations he has supported through the years. 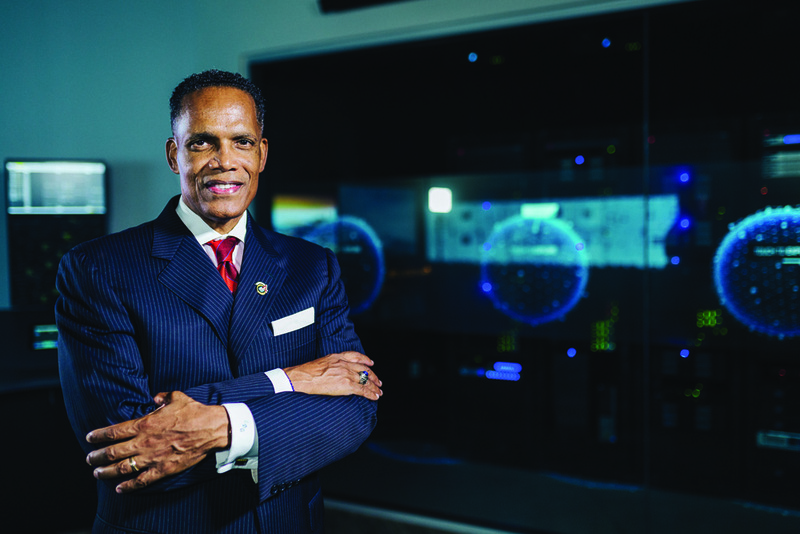 He would continue his involvement with the organization after retiring from the Air Force and beginning his first civilian job with Northrup Grumman. An after-school program established in 1990, The Fishing School provides underprivileged young people with tutoring and activities in one of D.C.’s worst neighborhoods. Initially housed in a renovated crack house, The Fishing School eventually ran out of space at its initial location. 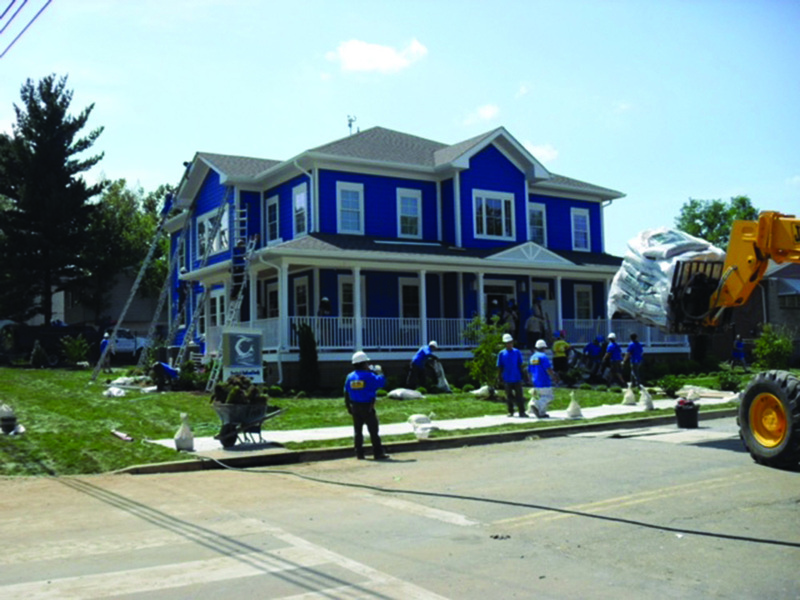 In 2009, ABC’s “Extreme Home Makeover” chose the nonprofit for one of its now-famous, seven-day transformational construction projects. As a result of the makeover, The Fishing School is now able to serve about 400 kids annually, compared to the 150 it previously served. Young people served by The Fishing School have gone on to college and successful careers. 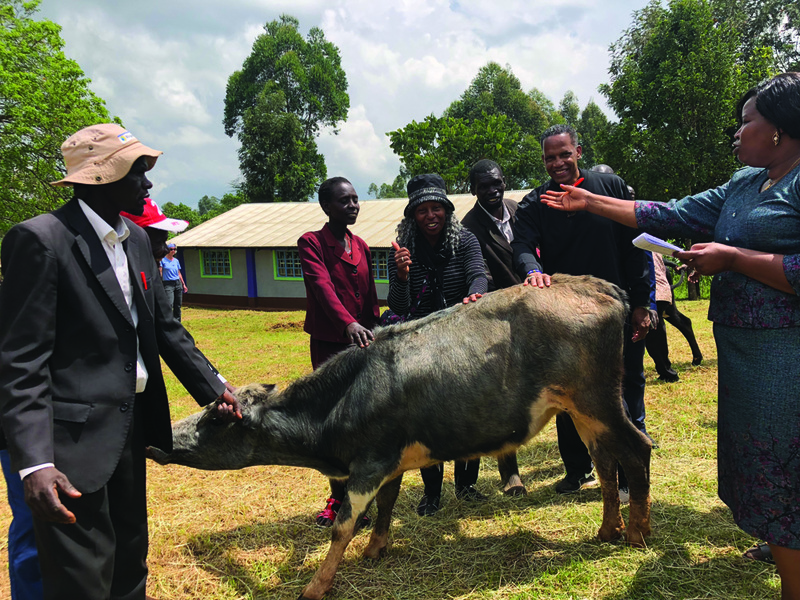 “While I was at The Fishing School, they often referred to me as the rainmaker, because I got heavily involved in fund raising for them,” he says. Garvin’s employer — Northrup Grumman — ended up being one of the biggest financial backers for the nonprofit. “They gave quite generously every year,” he says. 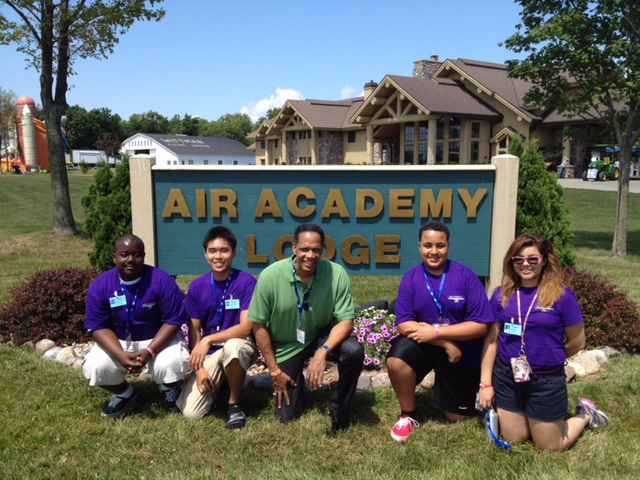 Another of Garvin’s nonprofit experiences involved the EAA Air Academy, a summer aviation camp in Oshkosh, Wisconsin. With financial backing from Northrup Grumman, Garvin recruited disadvantaged youth to attend the weeklong familiarization camp. Garvin was tapped by USAFA classmate Charles Phillips to help run the Phillips Charitable Organization for a time. The nonprofit offered assistance to struggling military veterans and single parents, as well as helping promote STEM (science, technology, engineering and math) careers. Over a two-year period, Garvin says the organization awarded approximately $200,000 in grants — helping recipients pay for everything from rent to college expenses. 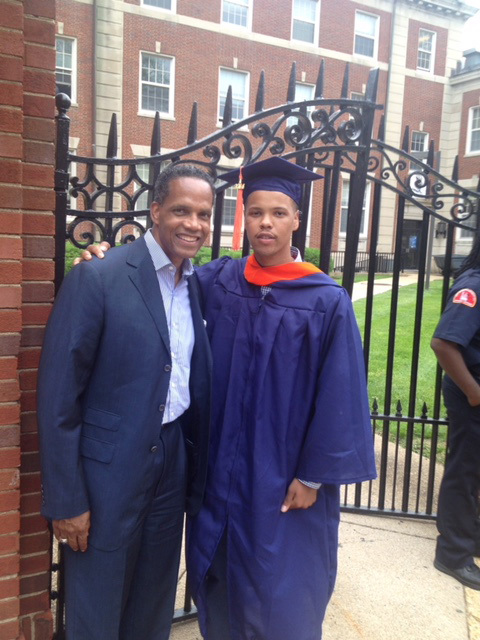 Today, Garvin works for Harris Corporation and is continuing his nonprofit work. His employer offers a 150 percent match for any donation made to charity. “That helps supercharge my giving and it makes me smile,” he admits. 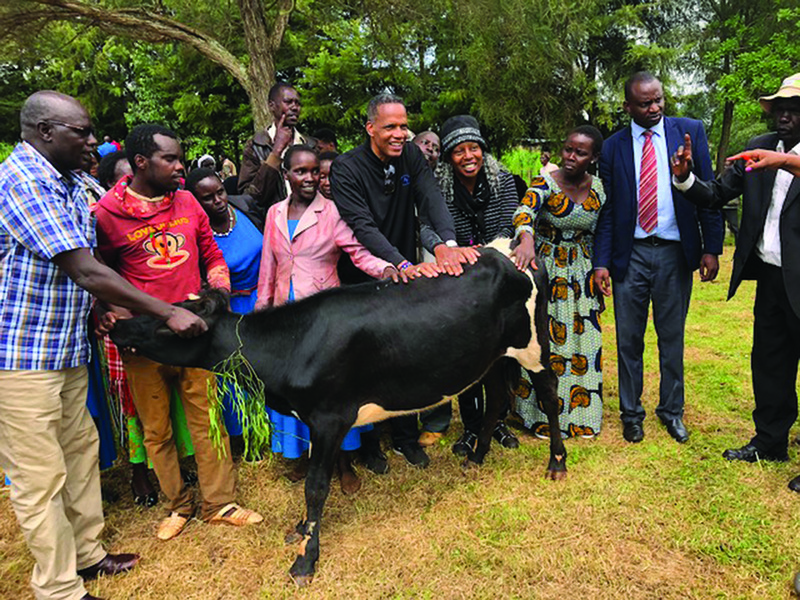 Garvin’s current passion is Cross World Africa, an organization that works primarily in the urban and rural areas of Kenya, Africa. He currently serves as its president and chairman of the board. 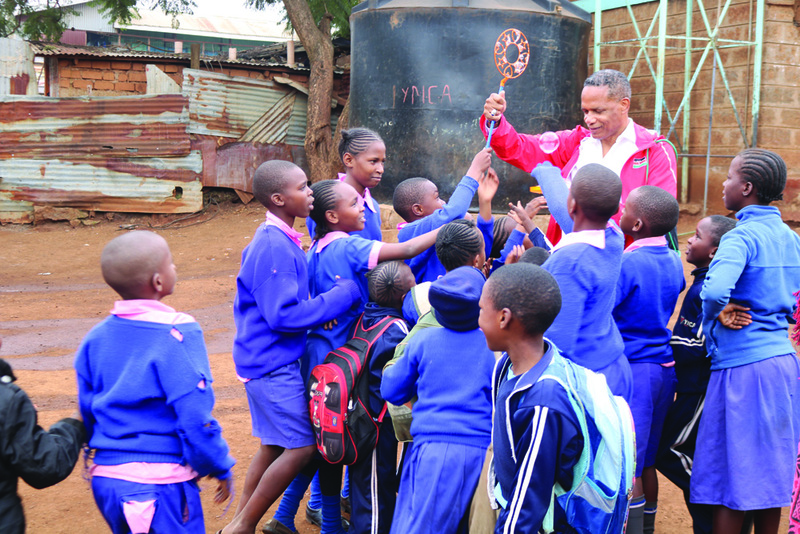 The nonprofit focuses on three core missions — education, entrepreneurship and health. 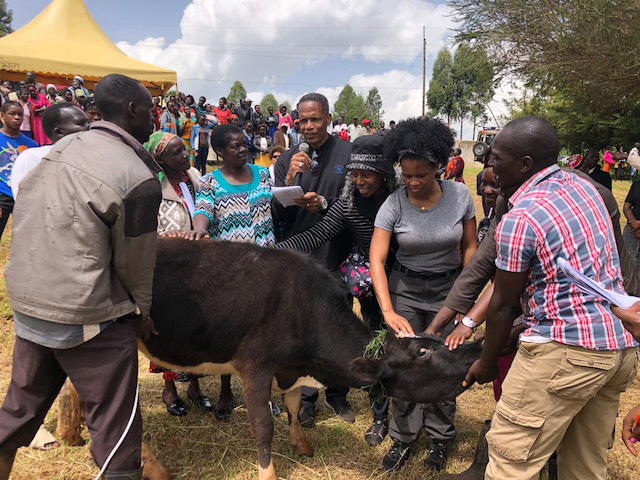 Cross World Africa provides cows and goats to some of the neediest Kenyan woman and widows in the northern Rift Valley. 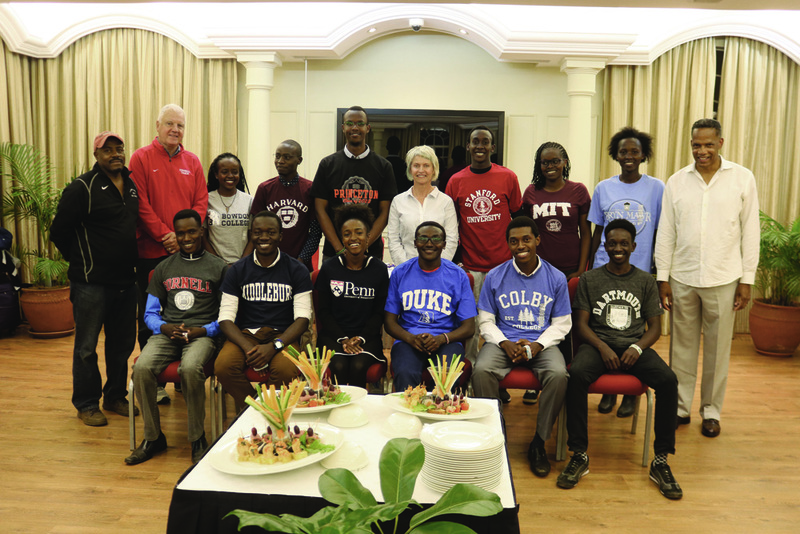 In addition, the nonprofit works in partnership with another charity, KenSAP (Kenya Scholar-Athlete Project), to help prepare young adults to attend elite colleges and universities in the United States. 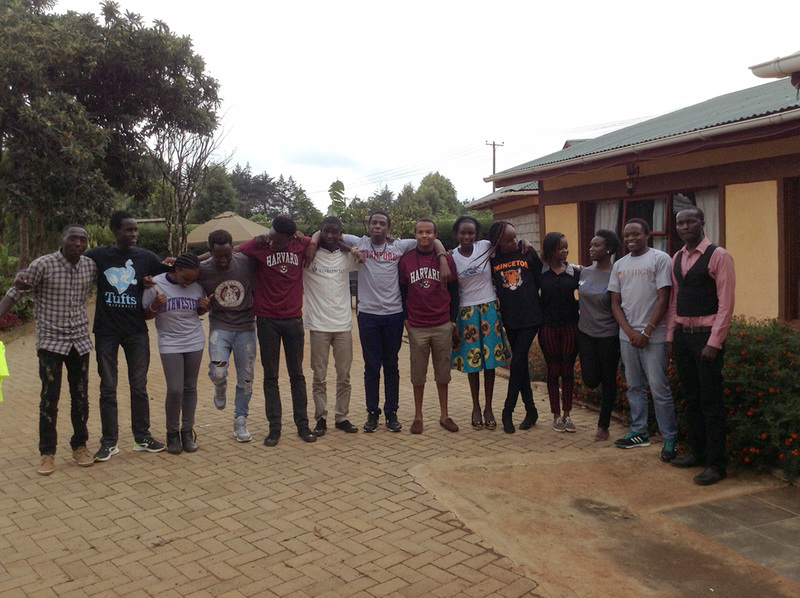 Kenyan students have gone on to graduate from such schools as Harvard, Yale and Princeton, among others. 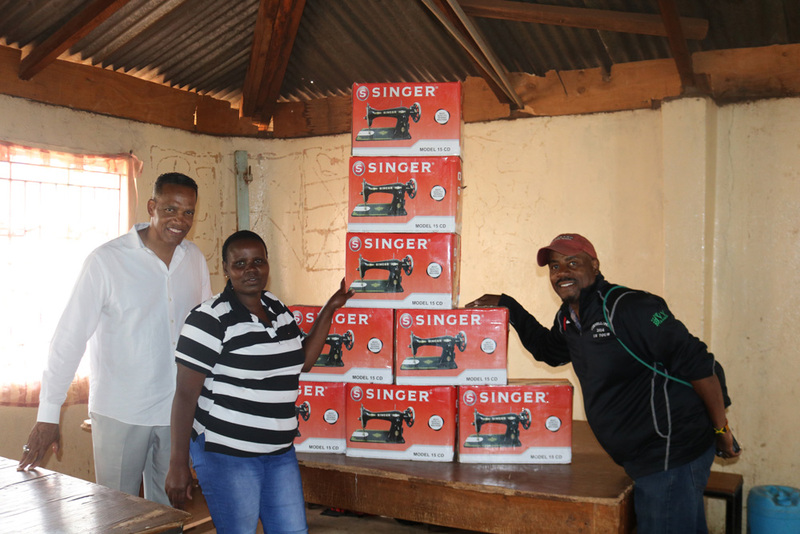 Cross World Africa also is spearheading a menstrual health project called Ruby in the Rift. 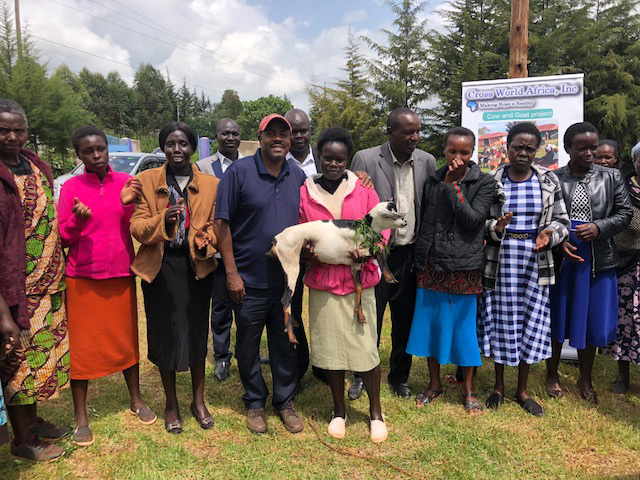 Garvin says the program seeks to educate young girls about their menstrual cycles and provide them with a product to address their health care needs. 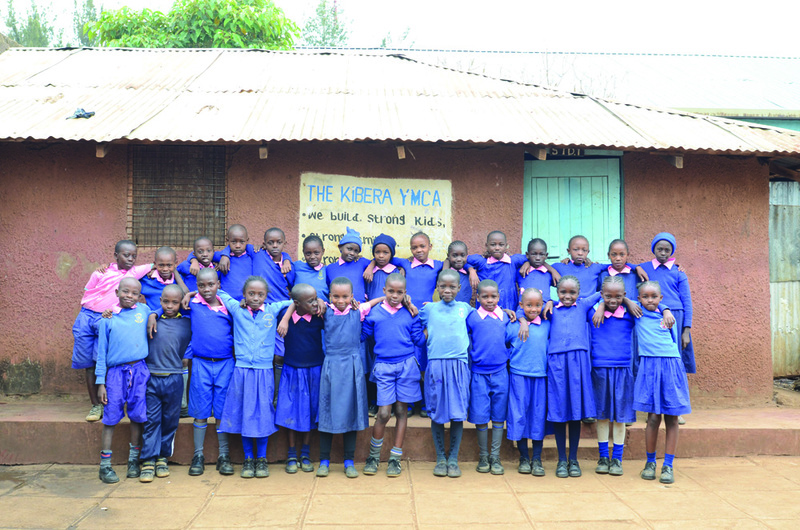 Cross World Africa also provides funding for the Kibera Food Bank, feeding 500 kids a day in the largest slum in Africa called Kibera. A new project launched this year is a barber training effort. 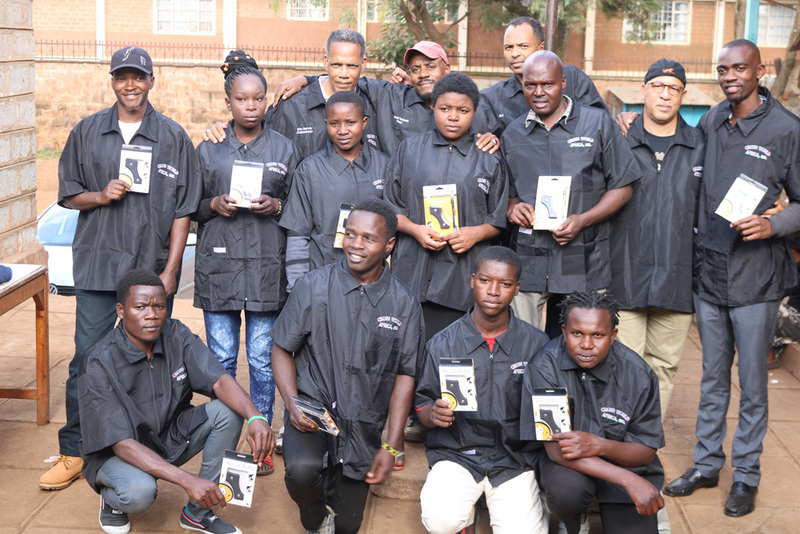 Ten Kenyan students (both women and men) were offered barber tools and training to provide them with the necessary job skills to support themselves and their families. “What I’m trying to do is use my Academy skills — teamwork and inspirational leadership — to help drive our team,” he smiles. Garvin says his Academy days taught him to “dream big,” and he’s thrilled every time he can impact an individual’s life in a positive way. Garvin recalls a philosophy lecture from his USAFA years by then-Col. Malham Wakin that focused on the meaning of happiness. He remembers the lesson well. Garvin’s mother — Marjorie Garvin — eventually learned that truth as well. Dubbed the “mayor of Staten Island,” she is now a pillar of her community — helping with a variety of pressing community needs such as affordable housing, advocating for the homeless and senior citizens, and assisting residents dealing with immigration issues. With the support of his loving wife, Anna, Garvin says he too has been able to continue helping others and live a meaningful life.